Another week has flown by so lo and behold, my phone is full to the brim with another week of pictures…. 1. I tried these self-tan mitts this week with the One Hour Tan by Cocoa Brown (one I really wanted to try after reviewing their fabulous gradual tan) – absolutely loved both products!! I don’t have a clue why I’ve never used application mitts before! I absolutely LOVE them! 2. Yay – Ella was finally discharged from attending clinics at the hospital this week after a rather superb looking X-ray. It really is amazing how the body heals! Especially if you’re a two year old! 4. My little mischievous munchkins, sat in my bed watching a cartoon! 5. 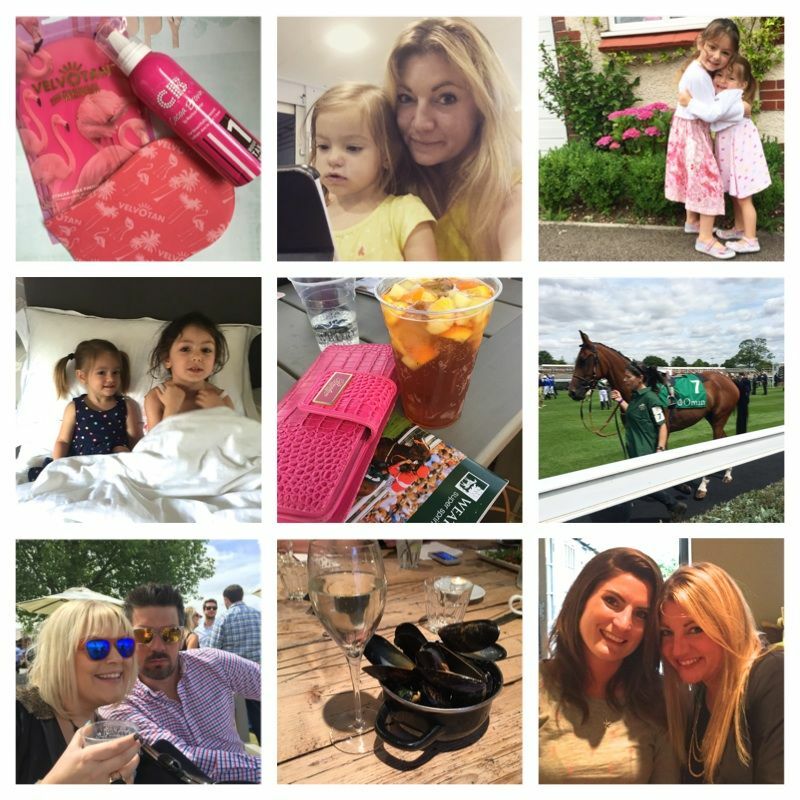 Racecard – check, money – check, Pimms – double check! All ready for a day at the races for Mr B’s belated birthday celebrations. 6. This was one of my runners. It didn’t win, but it had a nice name and pretty eyes!!! 8. After the races had finished, (and we had left the party in the paddock to the youngsters!) we went for a meal out and some dancing in one of our local town pubs. We had such a brilliant night. 9. Me and our friend Mel at dinner. Hannah recently posted…The Seaside, Sports Day & Toilet Training.